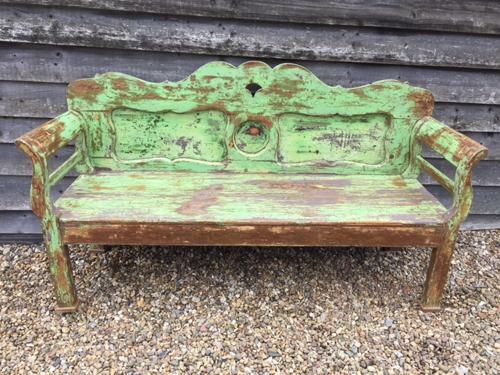 Fine Antique Gustavian Bench with Sleigh arms and all original paint. Good smaller size bench so more easy to accommodate. Attractive pannelled back and sturdy to use.